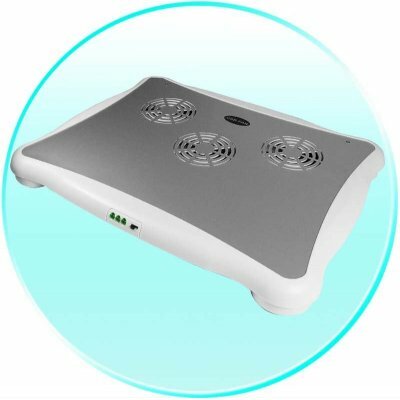 Successfully Added Wholesale Notebook Cooler Pad - Three Fan Design to your Shopping Cart. New Notepad Cooler, built on a strong aluminum base and featuring three high speed fans to draw heat away from the bottom of the Notepad. The whole cooling system is powered via a Laptops USB power, and included on the body is another four 2.0 USB ports for added USB powered gadgets, MP4s, or other USB run devices. Chinavasion offers this, and all of our other products with a no MOQ policy, and extremely easy to use Drop Shipping.